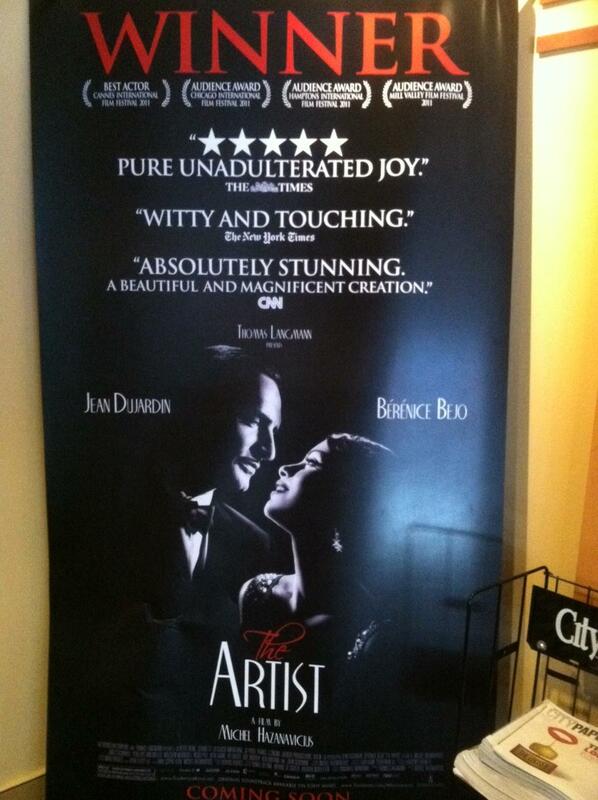 @E Street Cinema: Jean Duardin et Bérénice Bejo and a non-Flinstonesque John Goodman dance into your eyes and heart in “The Artist“. The finale doesn’t have a car chase and I can’t say the final lines are pearls of wisdom, but in this fantastic piece, you’ll be glad they’re even there. Oh, and there’s a cutie of a terrier. Gotta go. This entry was posted in Live and tagged cinema, DCIFF, E Street Cinema, eastern seaboard, film festival, indie film, maryland, The Artist, virginia, washington dc. Bookmark the permalink.